On June 22, 2018, at Nongtakongpittayakarn School, Nong Ta Khong sub-district, Pong Nam Ron district of Chanthaburi province, Lt.Gen. 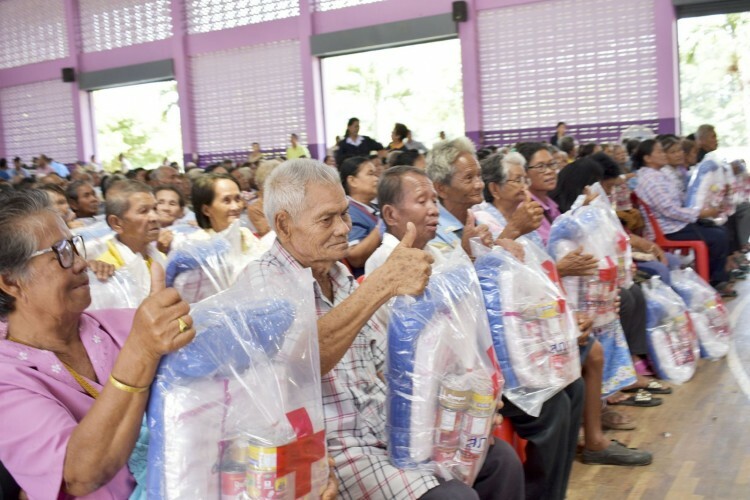 Amnat Barlee, M.D., Director of the Relief and Community Health Bureau (RCHB) presided over the activity of “Pun Nam Jai Nai Sai Fon” (Donation of Raincoats to Children). 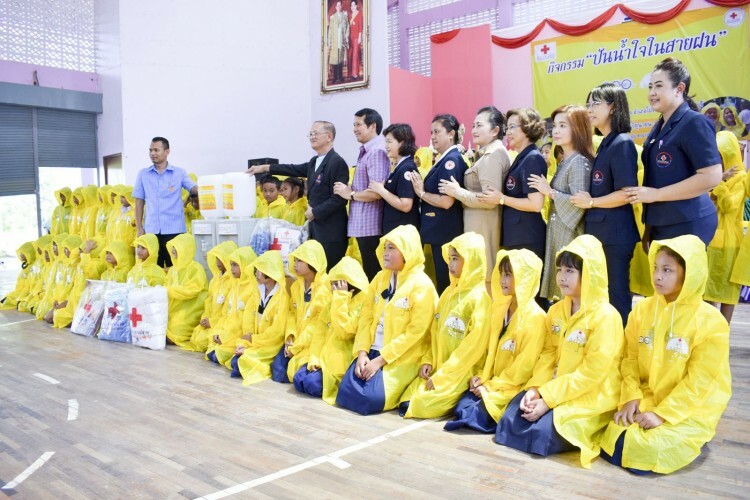 The RCHB of the Thai Red Cross Society recognizes the importance of disadvantaged children, so this project was aimed to provide raincoats to needy school children during the rainy season in order to protect them from illness. 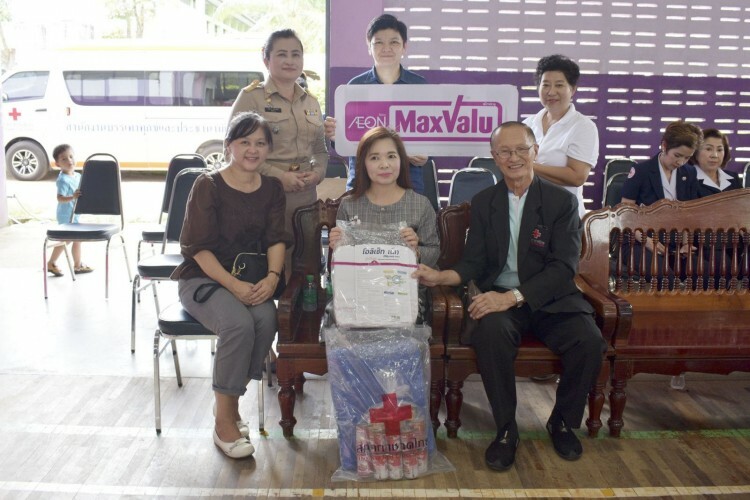 In this occasion, Mr. Pongpat Wongtrakul, Vice Governor of Chanthaburi province, Mrs. Vassana Wongtrakul, Vice President of Chanthaburi Provincial Red Cross Chapter, Mrs. Wallapa Suksirimuch, Assistant Head Nurse of the RCHB, and relevant agencies worked together, 604 raincoats, 6 water coolers to Banlaem School, Banphawilai School, Bannoendindaeng School, 300 basic necessities kits and mosquito net from AEON(Thailand) Co.,Ltd., to elderly people. 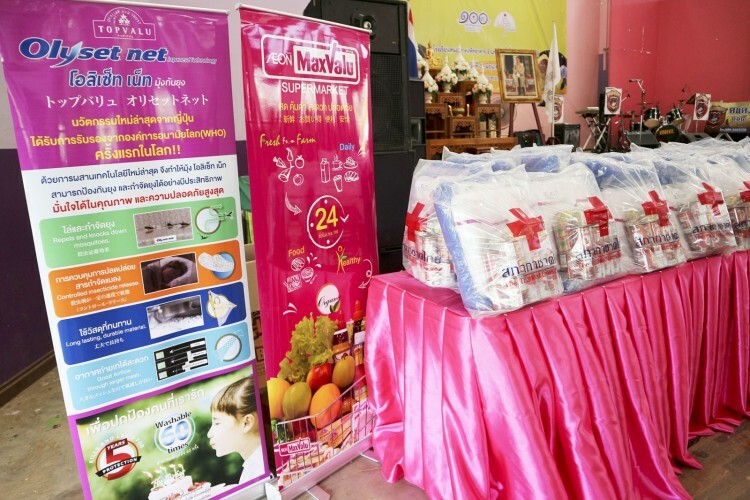 Copyright © AEON(Thailand) Co.,Ltd. All rights reserved.